THANK YOU!!! A total of 240 volunteers helped collect over 310 bags of trash, 78 tires, and a wide array of yard waste. In addition to trash disposal, 48 rain barrels were assembled and donated to community members, 28 bags of invasive species Japanese Knotweed, were removed, an old dock was removed at McKinley Park all in stewardship of the Flint River and its surrounding landscape. This year’s Golden Gloves contenders include dental x-rays and a giant stuffed gorilla. We will conduct a public poll to determine the winner at FRWC’s Annual Celebration in January 2019! This event is one of the area’s largest cleanup efforts and would not be possible without a number of sponsors, partners and volunteers. The FRWC would like to specifically thank our event sponsors: Rowe, Inc.; Drs. Mukkamala, L. A. Construction, Louis and Nellie Sieg Fund, and MPS Group. A huge shout out to the City Of Flint Blight Removal team – Raul Garcia and Heather Griffen. In Flint, the City picked up all the collected tires, trash at multiple locations, and an unanticipated abundance of brush in the Carriage Town neighborhood. In addition, we’d like to thank Genesee County Parks for providing trash pick-up, restrooms, site guidance and patrols as well as their Keep Genesee County Beautiful program for providing tools, bags and gloves for this event. The Neighborhood Engagement Hub, River Network, Coca-Cola and Edible Flint for partnering to provide the Rain Barrel Workshop; and FRWC Chapters, Vern’s Collision, Applied Ecosystems, Genesee County Habitat for Humanity, Consumer’s Energy, Kettering University, the Genesee Conservation District and countless other organizations for the behind-the-scene coordination of the event. Mark Your Calendar for Fun in the Watershed! Friends of the Flint River Trail Ride Again! The Friends of the Flint River Trail are “gearing up” for another great year of bike rides along the Flint River. Join the group at the Old Flint Farmers Market on Sunday, May 6th for the first ride, and every Sunday after that through the end of October! Join us on May 19th for fun activities, bike riding, helmet fitting, and so much more. Wear your favorite SUPERHERO costume for a chance to win fun prizes!! Come on down to the Park at Atwood Stadium for the Second Annual 80’s In The Hole RiverFest! We’ll have great music from Jedi Mind Trip, vintage 80’s cars, local food vendors, fun activities for all ages, beer tent, and updates on all the great things happening on the Flint River. Prize for the best 80’s Hair/Outfit! Winner will receive two tickets to see Styx, Joan Jett and the Blackhearts, and Tesla at Pine Knob (aka DTE Energy Music Theater) on Friday July 6th. Priority parking for anyone with a sweet 80’s ride. Motor on down in your DeLorean or your IROC-Z, and bag a radical parking spot. Grab your friends, and come out for a Totally Tubular night of fun!! See what there is to do in our watershed. SUPPORT THE FRWC WHILE YOU SHOP! 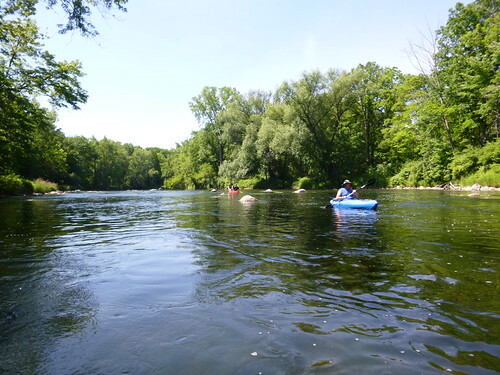 Support the Flint River Watershed Coalition today! The FRWC is a 501(c)3 charitable organization, which means donations you make to us can be matched by your employer’s program. Contact your HR department for the needed forms, and we’ll do the rest! Skyelar Herriman – right – gives a thumbs up during a break at the Thread Lake cleanup for the 2015 Flint River and Community Cleanup. My name is Skyelar Herriman, I’m 13 years old, and I have been helping the Flint River Watershed at Thread Lake for 4 years. At first I started volunteering there because I was bored and had nothing else to do and my dad was going, but once I got there I realized how much Thread Lake needed to be cleaned up. I remember thinking “How in the world are we ever going to clean this up!” But once everyone started working I realized that that we had a good group of people working and that we could make a difference at Thread Lake. I like to think that everyone can make a difference in the world and that’s why I kept coming back. I realized that just cleaning up a local lake can make a big difference in your community, and even though it’s a small step to some people it’s a big step in my mission to make Flint a better place. I keep coming back because the feeling that you get while doing something that you know will make a difference is one of the best feelings. I keep coming back because it’s a great bonding with my family! We have 3 generations of my family involved, there’s my grandpa (Mike Herriman), my dad (Jerin Herriman), my uncle (Aaron Herriman), my cousin (JC Herriman), me (Skyelar Herriman), and my brother (Evan Herriman). This is a great bonding activity and you get to meet really great people. My first year of volunteering we found close to 75 tires throughout the area. My second year we found the rear half of a car, a safe, and a payphone. My third year we used around 100 trash bags and filled a garbage truck. My fourth year we discovered a hidden part of the lake that was filled with garbage. From the first year to the fourth year Tread Lake has changed DRASTICALLY. The first year we could find a ton of places that needed to be cleaned up and the fourth year we were having trouble finding places to clean up. Now people have said that Thread Lake is officially cleaned and if it stayed clean we would have to find a new place to clean next year. During this process I have worked with over 50 volunteers, including family members, local business owners from the BNI chapter, students from the Flint International Academy, and neighbors to Thread Lake. We have cleaned the area enough that they have re-opened the park and have events taking place at Thread Lake. I asked the members of my family who have participated in the cleanup 4 questions about Thread Lake to see how they felt about everything. The first thing I asked was “Why do you keep coming back?” Everyone said they liked seeing the improvements every year and they liked how it felt. The second question I asked was “What surprised you the most about the area?” They either said how much trash there was, that there was a pavilion, or that the lake was even there. The third question I asked was “How has cleaning Thread Lake helped you as a person?” “It made me feel better about myself.” (Jerin Herriman) “I got to meet a lot of new people that I could learn from and I made lifelong friends.” (Aaron Herriman and JC Herriman) “It shows that I know how to use my time wisely and that I care about my community.” (Evan Herriman) “Working with this group of people has made me realize that there are more people then me willing to make a difference.” (Mike Herriman) The fourth questing I asked was “Why should people get involved in the cleanup?” They all said that it’s everybody’s part and it makes out community a better place to live. My goal for writing this is to get people to realize how rewarding it is to help the community and to hopefully get them to come out and help. My other goal is to get my school involved in the cleanup and teach the kids that there is more to life then your cell phone, and that helping your community is one of the best feelings. Thread Lake when I started was very, very dirty. It needed a lot of cleaning up and in the course of 4 years we accomplished our goal of cleaning Thread Lake. Now when I go to Thread lake I can say “Look how beautiful it is” and I can think “I helped do that and I helped make and difference in my community.” So I want to thank the Flint River Watershed for giving us Thread Lake to clean, Mike Herriman for becoming the site coordinator and telling my dad about it, Jerin Herriman for taking me every year to clean up Thread Lake, and anyone who volunteered and helped make a difference at Thread Lake and in the Flint community. More than 300 area middle and high school students will gather to share their scientific findings and recommendations on water quality at the Flint River GREEN Student Summit at Kettering University on Friday. Flint, MI. May 12, 2015 – During the last school year, students and their teachers from 17 school districts in Genesee, Lapeer, and Saginaw counties collaborated with mentors from environmental professions to perform water quality tests* on our Flint River Watershed’s rivers and streams. They braved the elements, pulled on waders, and hopped in the river to collect water and macroinvertebrate samples. Using scientific methods to test local streams and rivers, area students evaluate the health of their stream, research the reason(s) their stream scored the way that it did, and identify actions in practices or policies that will help them protect, preserve, and improve their local waterway. On Friday, these student scientists will present the findings along with action plans at the Flint River GREEN Student Summit from 8 am until 2 pm at Kettering University. 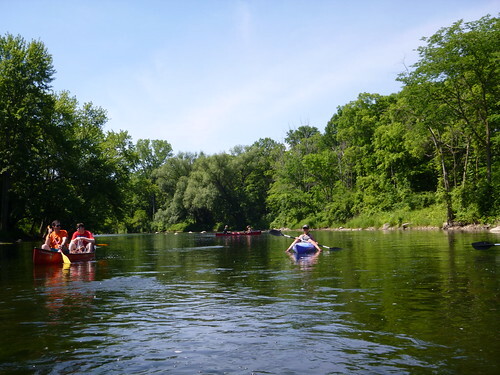 The Flint River ‘Global Rivers Environmental Education Network’ (GREEN) is a nationally replicated program in its 26th year. It provides students with an outdoor hands-on experience in water quality testing. The capstone of the program is the GREEN Student Summit where students share this information with their teachers, peers, and community officials. GREEN mentors offer assistance in both the classroom and at the testing site. Working closely with teachers, mentors speak with students about GREEN and introduce them to the tests they will perform. Mentors share knowledge about the test, the proper way to perform the tests, safety procedures, and how to interpret results. These volunteers offer insight as to what may cause a result to be high or low, as well as help students develop action plans. Each year, the FRWC surveys students about their perceptions of the watershed before and after participation in Flint River GREEN, and asks students if they believe they can have an impact on the health and vitality of their local river. Last year, just 34% of the students entered this program believing that the Flint River is clean and healthy and 64% said they believe they can make a difference. After participating in this science based program, more than 80% of students emerged from the experience knowing that the Flint River is healthy and 90% know they can make a difference in the health of our Flint River…and want to help. Flint River GREEN is generously supported by the Genesee County Drain Commission’s Our Water program and General Motors. The program is run in partnership with the Genesee and Lapeer County Intermediate School Districts, Earth Force, Michigan State University Extension and 4H, Kettering University, and the City of Flint. 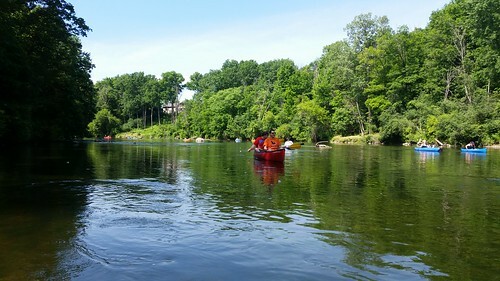 *Water quality test results for GREEN 2014 Class can be found on page 8 of the 2104 Flint River GREEN Annual Report at http://flintriver.org/blog/publications. Final result for 2015 will be released later in the year once all data are tabulated. Make Every Day Earth Day: We’re here to help! I’ve decided to let you in on a little secret: I’m not a fan of Earth Day. I understand its intent to raise awareness and engage people of all ages to do something good for the earth. But in my opinion…Every Day is Earth Day. I guess that is why I do what I do and love what I do. My mission is to equip you and your neighbors, the farmer a couple miles down the road, the corporate rep and the small business owner, the kayakers and anglers, the high school science club and teachers…To give each of you the tools and the information you need to help protect, preserve, and improve the Flint River Watershed. I want to help you make every day Earth Day, too. 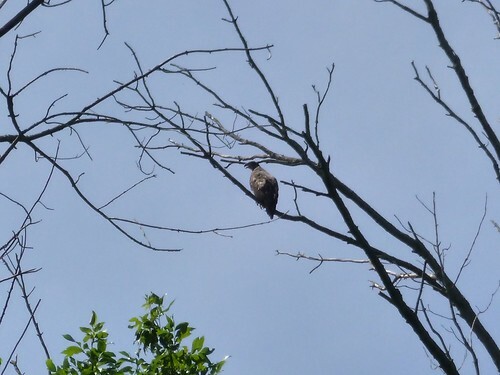 April ushers in the most exciting season to be in and around the river, creeks, and lakes of the Flint River Watershed. 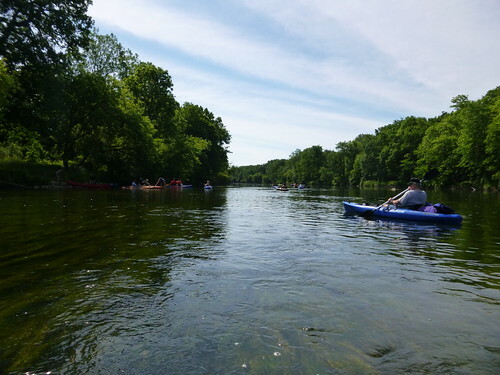 There are many opportunities to come out and experience the wonders of our watershed for yourself, and the FRWC offers at least two a week from May through October. Join members of your community at one of the many cleanup sites in Genesee and Lapeer Counties on April 25th. Come cycling with the Friends of the Flint River Trail. 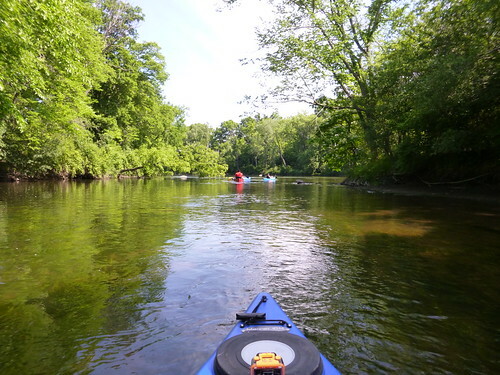 Journey down the Flint River in a kayak. Become a citizen scientist between April 30th and May 14th through our Benthic Monitoring program. Teach your neighbors how “Seven Simple Steps” will keep pollution out of your local storm drain and out of our river. Celebrate with us at one of the “Love Your Lakes” Picnics at Flint Park Lake or Thread Lake in July. 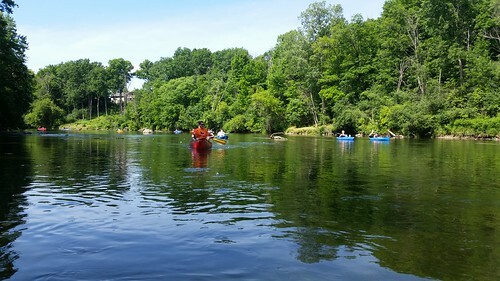 Did you miss the Flint River Flotilla last year? 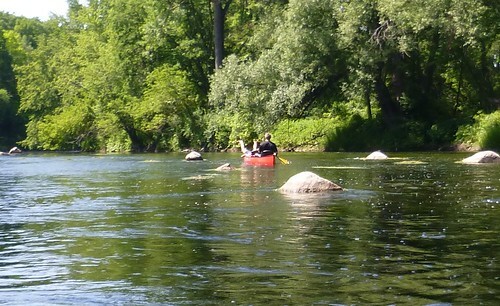 Mark your calendar for August 8th because you have to experience this stretch of our river in the city of Flint. I would be remiss if I did not address the elephant in the room. It has been a tough year for the image of our Flint River. It really took a beating, but don’t lose heart. I’m here to tell you that the state of our river and our watershed is good and consistently improving. I know this because with our volunteers’ help we have the scientific data to show it. The FRWC will remain vigilant, serving as the Voice of the River with the support of science and a cool head to guide our work. Yes. There is work to be done, but there is also fun to be had. Join me in making Every Day Earth Day!